A bald man in the background is rubbing his hands together. In the foreground, man A and man B stand and watch. Bald man: Out, damned spot! What, will these hands ne’er be clean? A: He’s sleepwalking again. Or rather, sleepwashing. 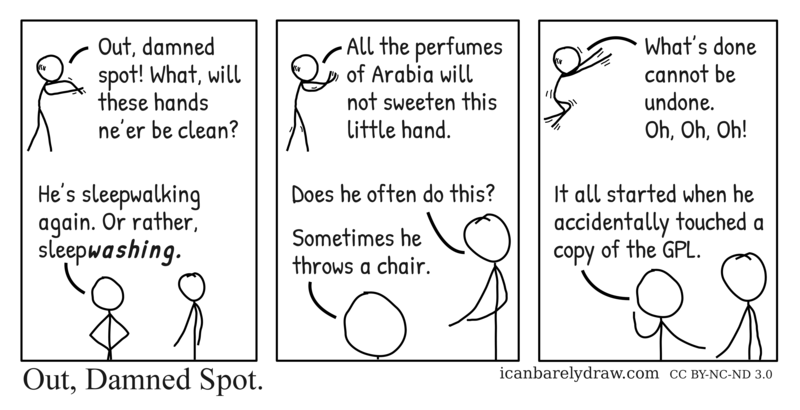 Bald man: All the perfumes of Arabia will not sweeten this little hand. B: Does he often do this? A: Sometimes he throws a chair. The bald man now reaches out into the air with both arms and appears to jump up with knees bent. Bald man: What’s done cannot be undone. Oh, Oh, Oh! 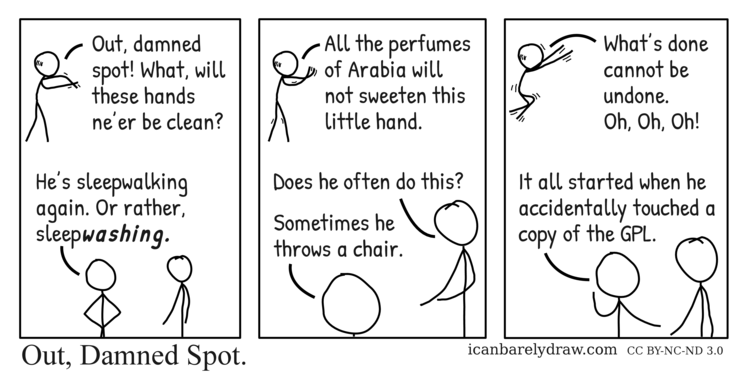 A: It all started when he accidentally touched a copy of the GPL.